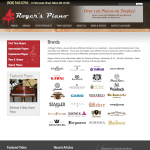 When your selling rare and extravagant works of art you need your site to represent the same attention to detail and craftsmanship. 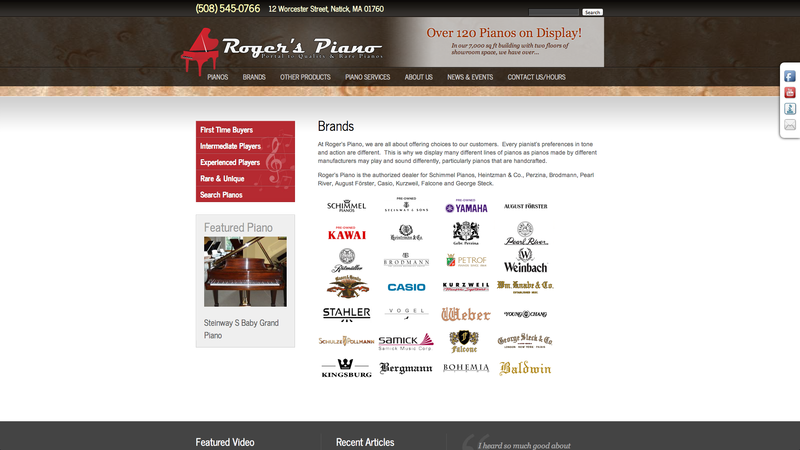 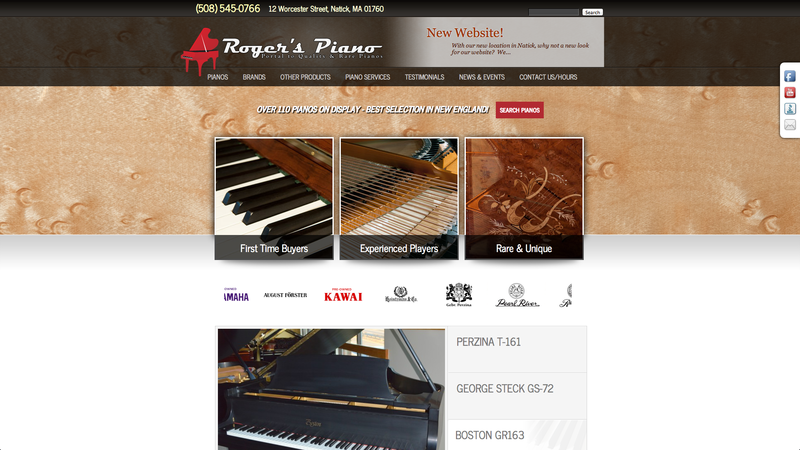 Roger’s Piano piano has over 110 pianos in their showroom, one of the best selections in New England. 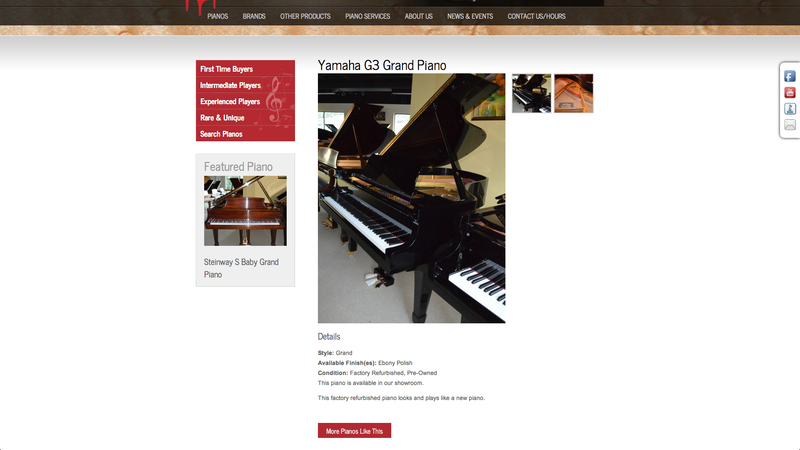 These pianos are beautiful so we made it a priority to visually represent each piano offered, even allotting time in our project to have a photo shoot of their showroom. 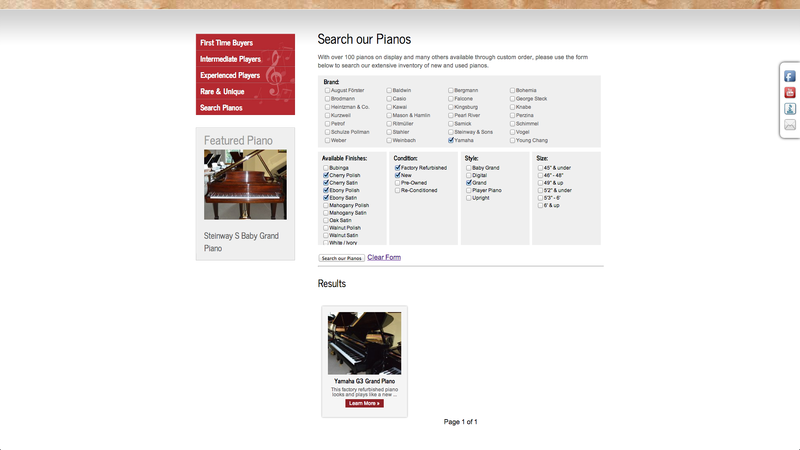 This site has a custom piano post type that allows the company to not only show off their pianos but also keep a record of sales and information such as dimensions and serial numbers for the company’s own private use. 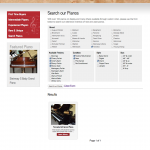 Also boasting an option rich search feature this site is a great example of the customizability of wordpress. 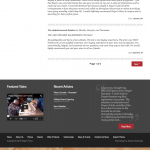 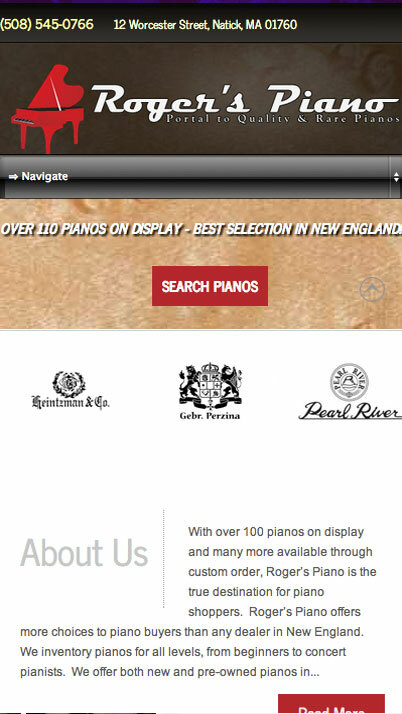 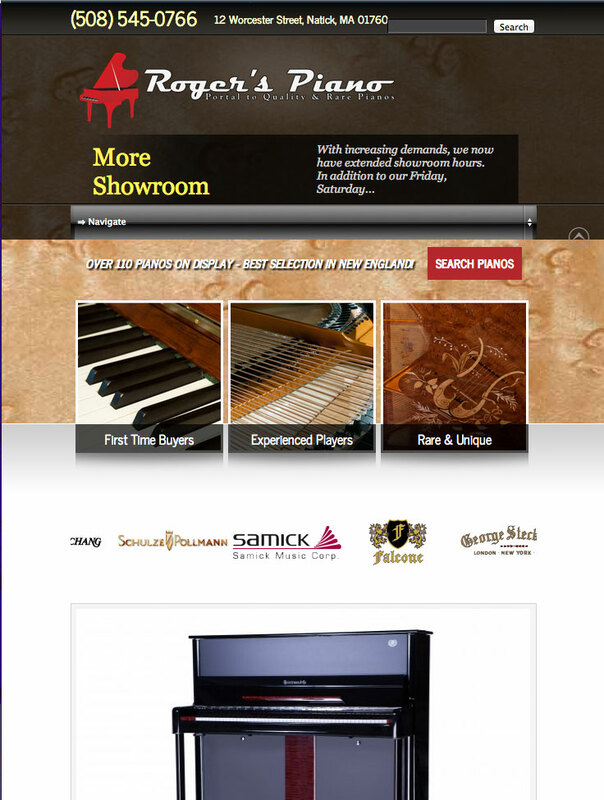 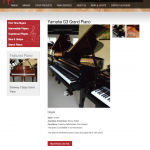 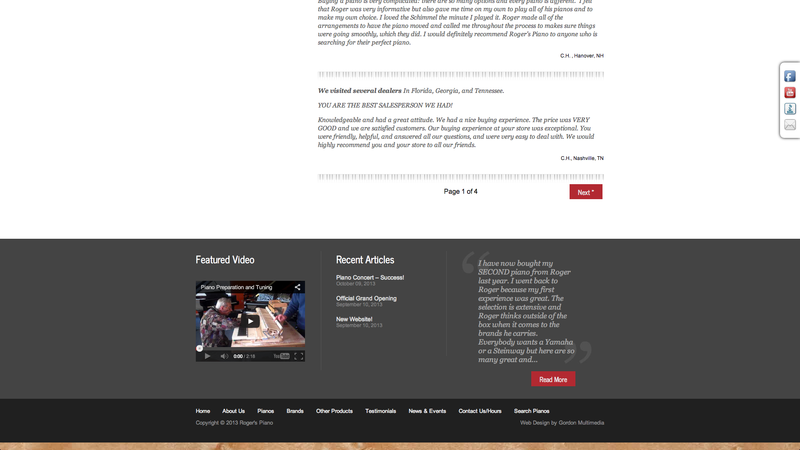 Visit this Natick Piano Sales website.